Did you know that over half of employees, 68 percent to be exact, are unhappy with the lighting in their office? How are you expected to focus if you're even a little unsatisfied with your surroundings? The saying “out of sight, out of mind” might not be the best mantra when trying to work. After all, you do want to see and remember what you’re physically working on. Below are various lighting suggestions that are suitable for offices of all types and links to specific products we love! One of the most obvious forms of artificial illumination are the ceiling lights above you when indoors. It’s not the strongest nor the most beneficial to your focus, but it’s needed nonetheless. There is no healthy or quality lamp that covers the entire room. Though, what you can do to help the overhead situation is replace the dull and headache-causing incandescent bulbs with LED bulbs. 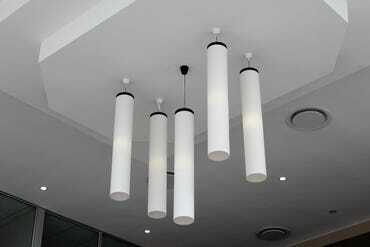 Add to the style that your office may be lacking with a modern chandelier or textured pendant lights. Take a look at this wide drum chandelier! Sometimes general lighting over a large area is not fitting to what you’re doing. If looking at small print, tiny objects or detailed plans are anywhere in your job description, task lighting is a necessity (along with a magnifying glass.) 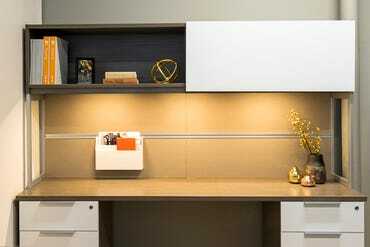 Luckily, there are numerous variations of desk lamps that are ideal for task lighting. 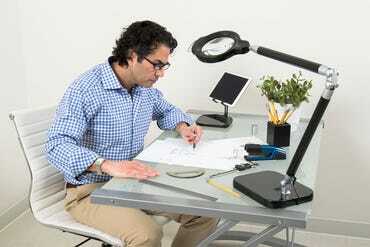 Customizable brightness levels, strong natural daylight LEDs, adjustable lamp heads and integrated magnifying lenses are all features available in our desk lamps. Shop the exact black magnifier desk lamp pictured! Cubicle walls are great for maintaining focus and ensuring your own personal space. However, it can be tricky to get the perfect lighting in such a limited area. This is where we call in our handy under cabinet light bars. These kits easy to install and per for tight spaces around the office –whether that’s at home or not. Place these thin and vibrant LED bars under shelving above your desk for a little extra brightness to complete your job. Check out this under cabinet lighting kit in warm white! Sunlight is not only beneficial to your productivity and work ethic, but also your health. It’s known for being a pure source of vitamin D and free. 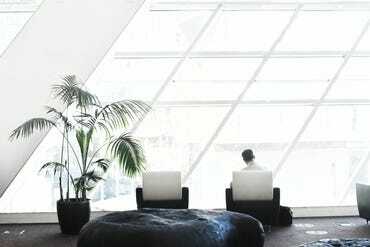 Read about more reasons why you need natural daylight, then open your curtains and windows to enlighten your life with organic, accessible illumination. We’re certain that no one will complain about it. 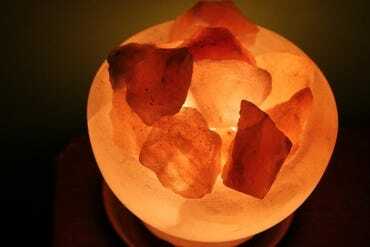 Recently growing in popularity are salt lamps. They too are great for your health, purifying the air from smoke, allergens and other contaminants. They also negate the presence of electromagnetic fields. These are linked to decreased concentration and increased sleepiness. Another option is RGB lighting. It creates a unique, stress-free space that you enjoy. This Himalayan salt lamp should do the trick! Don’t be unsatisfied with the parts of your office that you can easily fix! Mix and match any of these lighting options to create a well-lit room that drives your creativity.